Deep in the foothills of Appalachia, when weather conditions are just right, honeybees make one of the rarest of American treasures: North Carolina Sourwood Honey. We love it not just because it’s rare, but because it takes the honey tasting experience to new heights, with unmatched complexity and pairing potential. Sourwood has mythic status, thrilling connoisseurs and winning international awards all while singing the sweet song of the American South. The sourwood tree (Oxydendrum arborerum), also called sorrel, originated in North America and today grows throughout the Eastern United States. Sourwood blooms during June and July, but only with abundant sun and rain does it produce enough nectar for bees to make honey. During a full bloom, the fragrant white flowers hang from drooping stalks, resembling lilies-of-the-valley. Beekeepers can go years between harvests of Sourwood Honey, making it the rarest of the rare varietals. Savvy honey lovers buy it when they see it, knowing demand always exceeds supply. Sourwood honey crystallizes slowly, making it a favorite for honey recipes and as a sugar substitute, especially in cakes, cookies and other baked goods. We stir it into strong green teas and use it to juice up classic iced tea. Our number one rule with Sourwood? Keep it simple. We most often eat it straight by the spoonful, but it makes a real impression drizzled over Greek yogurt, grilled peaches or a buttery biscuit. Also eat it with any good cheese. It makes fireworks with bloomy rinds like Brie and Camembert. 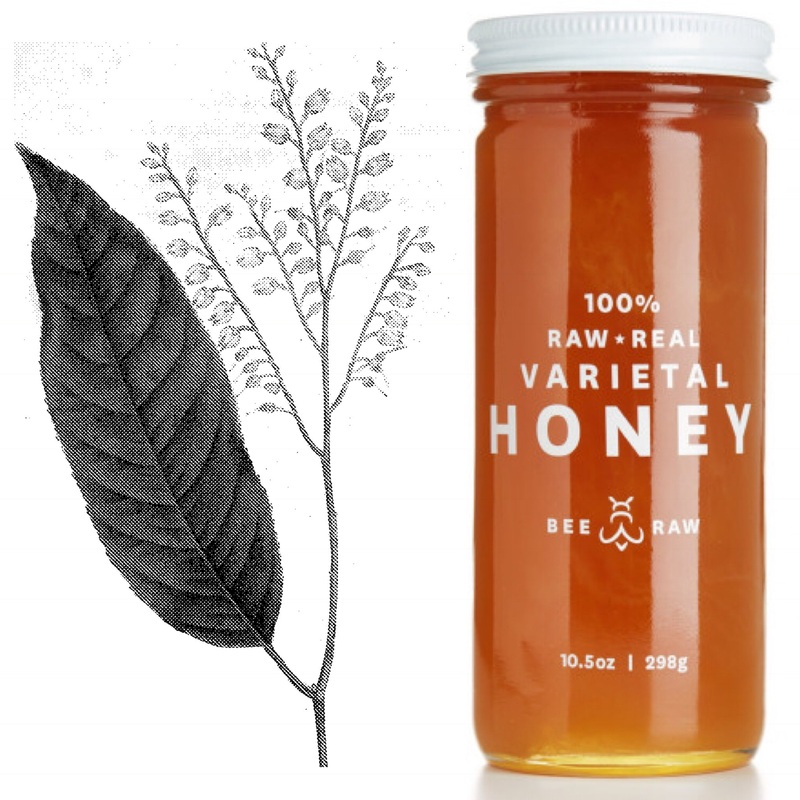 Like all raw honey, Sourwood honey has several well established health benefits. For centuries people have turned to raw honey for the topical treatment of minor wounds and burns, and as an antibacterial agent to promote overall health. Raw honey has antioxidants and contains helpful trace elements and minerals, such as cobalt, copper, iodine, iron, magnesium and phosphorus. Parents looking for natural remedies have used raw honey to treat minor digestive discomfort and soothe sore throats.